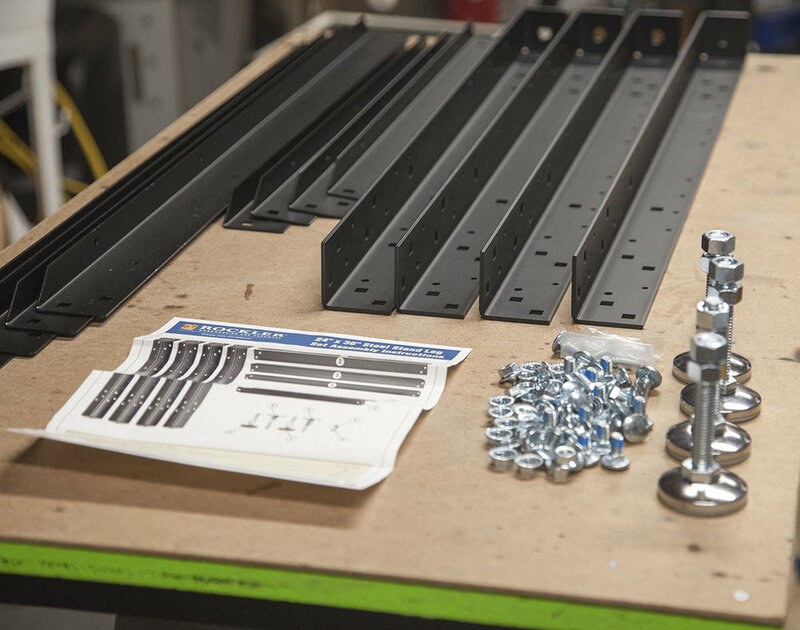 While any sturdy stand will work for the CNC Construction Set, it becomes crucial if you plan on doing the Plasma table upgrade. 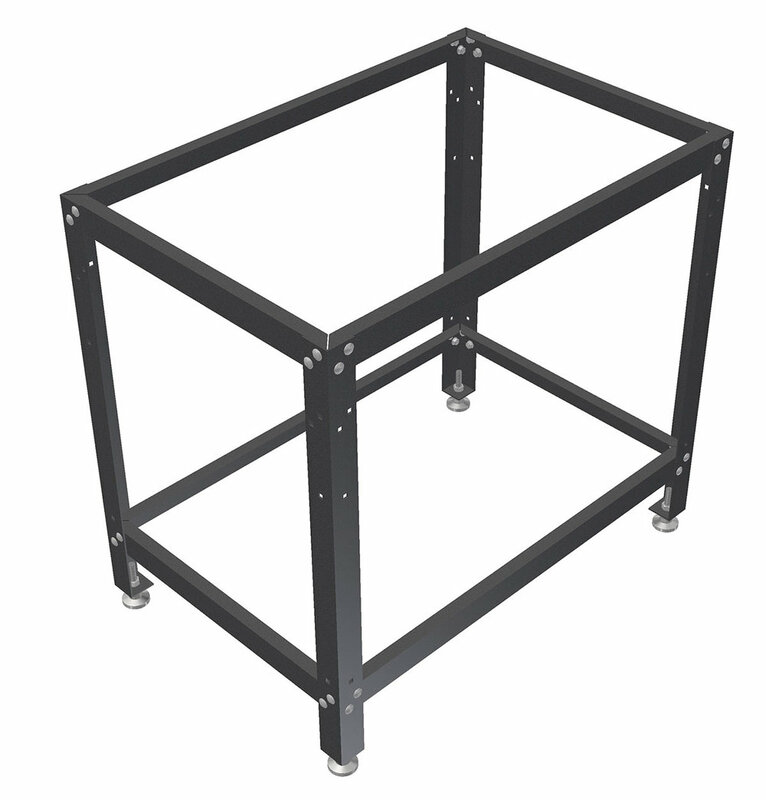 The Stand is used to house the down draft chamber for the plasma table. 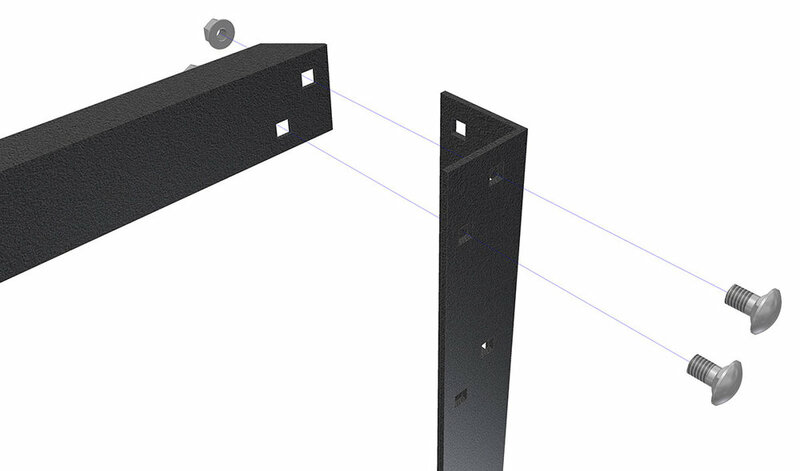 It also provides the space needed under the gantry to change the Z carriages for different CNC operations. 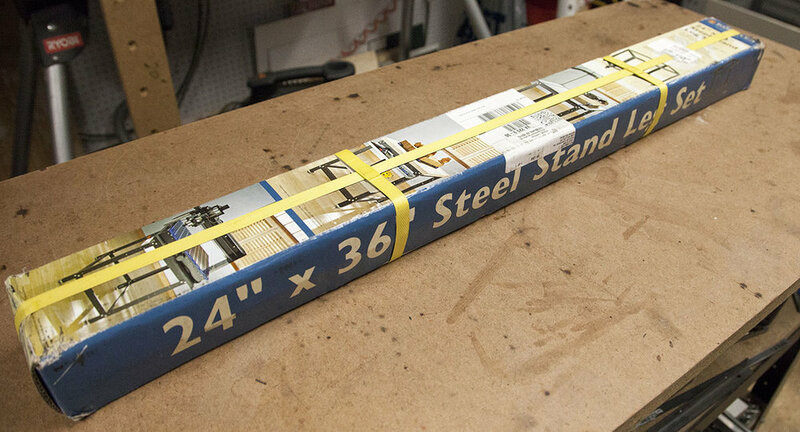 The stand recommended for the CNC Construction Set is the Rockler 24" x 36" steel shop stand. The stand actually ships in its box shown here. All the components are individually wrapped for protection. Assembly instructions are also included. Assembly instructions are included, but I tend to take a little different approach when assembling this stand. 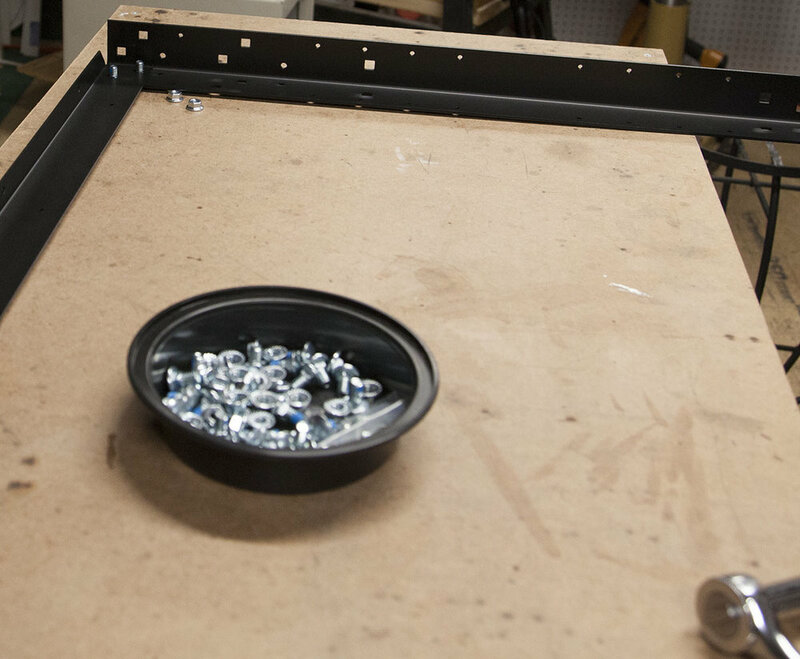 They recommend installing the feet first, but I leave mine until after the stand is assembled. I start, by assembling the two side panels first. I do this by laying the legs on a table. I place two of the bolts in the leg and lay the top long stretcher on the leg as shown here. I then install the two nuts and use a 12mm socket and ratchet to tighten. Note the 12mm socket. For some reason the nuts are a little off sized. I had to use a 12mm socket. Only snug the bolts at this time. I then install the lower long stretcher. Note the leveling feet are shown installed here. If you wait to install the feet the next step is a little easyer. You will build two of these panels. With the two panels standing upright, and about 24" apart install the short stretchers. If you don't have a helper you can support the side panels by clamping one short stretcher to each panel as shown here. 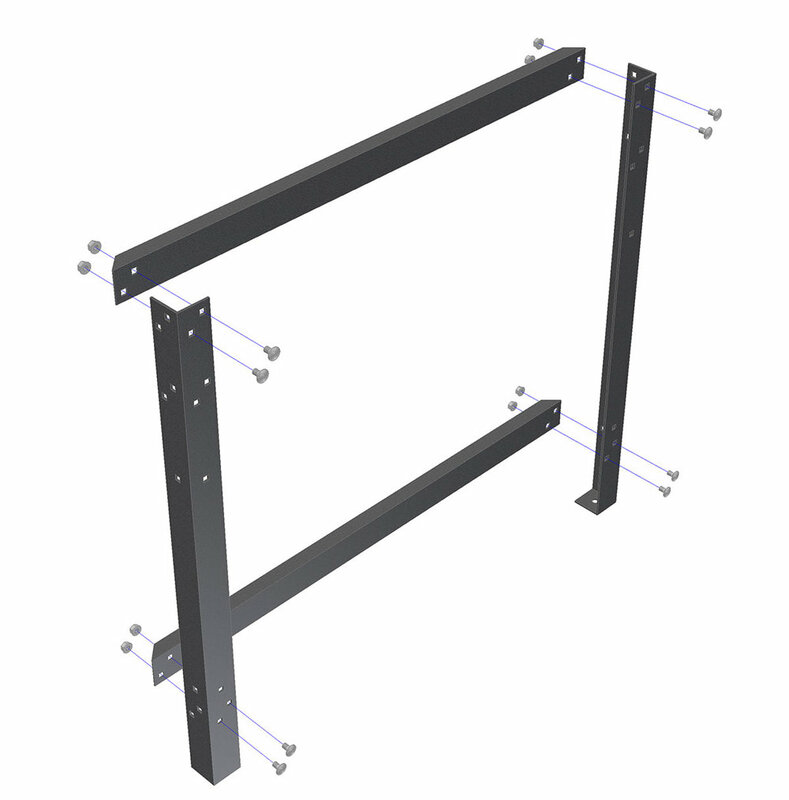 This will allow you to install the two upper short stretchers. Once they are installed you can remove the clamps and install the lower short stretchers. 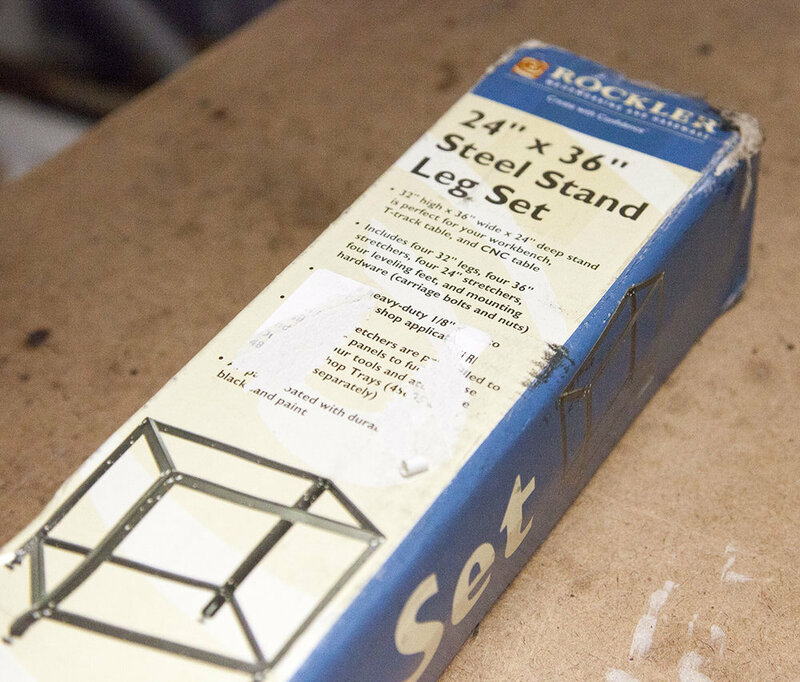 Use a framing square to make sure the legs are square and tighten all the bolts. If you have not done so already, install the leveling feet. It's easier if you flip the stand over. If you want to use casters, these are the ones I recommend. 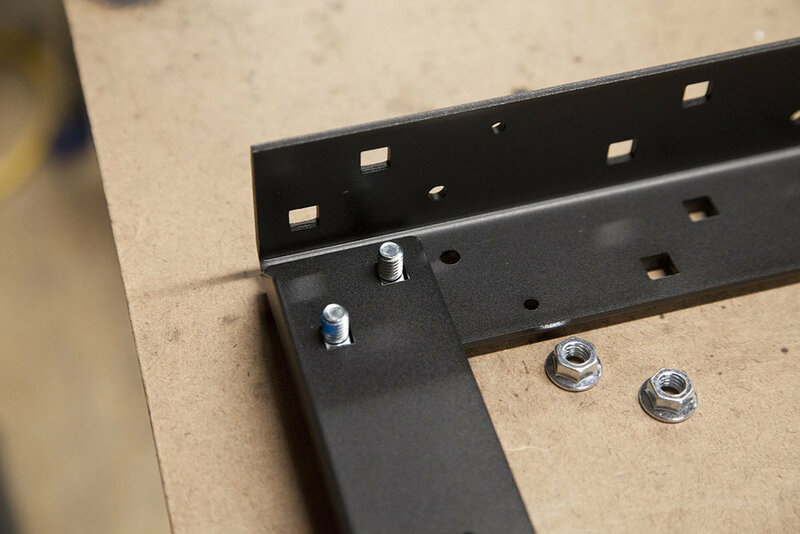 When the casters are not needed, you have the option to lower a small foot that helps to stabilize your machine..
A stud is included so its a simple task to use these instead of the original feet. How ever you assemble the stand, there is not much to it. 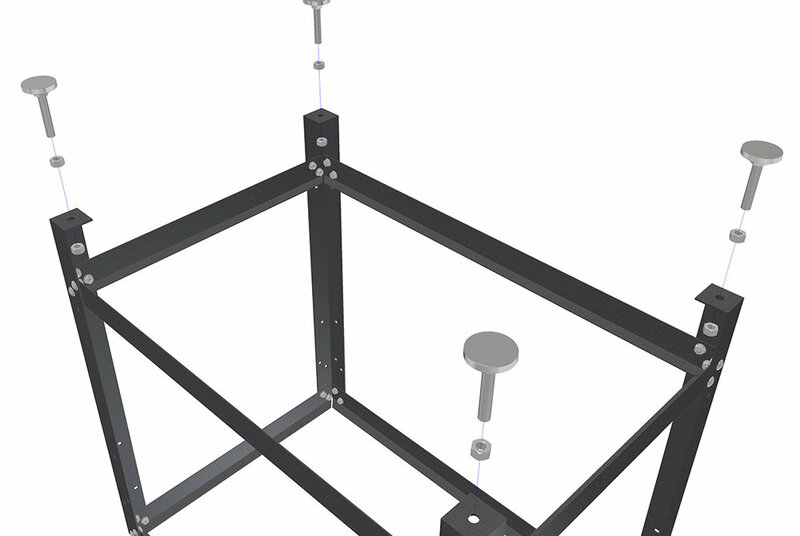 It's a very sturdy stand perfect for the CNC Construction Set.